The Cola market has again witnessed unprecedented decline as Coca-Cola HBC the parent company and bottler of The Coca-Cola company in Nigeria revealed its sales volume in Africa’s largest economy has continued to nose-dive in a highly competitive environment. The global Coca-Cola company made this disclosure in its 2018 full year result released Thursday, Group volume increased by 4.2 percent, in emerging markets, the volume also increased by 4.3percent with growth in all countries except Nigeria. In developing markets, volume grew by 8.8percent driven by Poland, Hungary, and the Czech Republic. According to the results, it recorded lower volume in Nigeria due to intense competition in Sparkling segment which comprises the trademark Coca-Cola and the Coca-Cola Zero variants, Water, while juice and Energy delivered positive results. Highlights of the result show the second year of FX-neutral revenue growth above its 4-5% target range, as it marches towards the company’s 2020 margin targets. Established and developing segment countries improved price/mix at a higher rate than in 2017. Emerging segment price/mix growth was up 2.4%, a moderation from prior years due to the cycling of 2016/17 price increases in Nigeria and lower Premium Spirits sales in Russia. Giving an outlook into the 2019 market, the company said it expects volume growth in all segments, continued improvement in FX-neutral net sales revenue per case, input cost headwind in low single digits FX headwind of €50m at current favourable spot rates, and another good year of FX-neutral revenue growth and profit margin expansion. 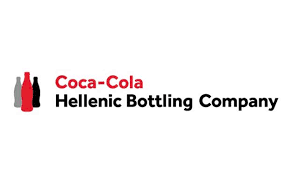 Zoran Bogdanovic, Chief Executive Officer of Coca-Cola HBC AG noted that the company delivered an impressive result. “In 2018 we delivered another very good performance with revenue growth above our target range and another step up in margins. Strong volume growth in all our segments was helped by a record number of new product launches, whilst price/mix improved for the eighth consecutive year. This growth supported margin progress which we delivered while increasing our investment in marketing” he said. In recent times, the Nigerian Carbonated Drink market has seen several new entrants challenging for market share in a space once dominated by two arch-rival Pepsi and Coca-Cola. The introduction of Bigi-Cola, RCola, seems to have tightened the race for market share and has seen a shift by consumers to cheaper and bigger new brands in the market.